Spend 20 seconds with Dre! Dre Nichols, the son of a US Kickboxing Champion, began his professional fitness career at the age of 2 in martial arts. By age 16, he not only had his blackbelt in karate, but he had picked up a few hobbies along the way, including: becoming the state champion in silver gloves boxing at age 10 and winning multiple regional championships in wrestling. By the age of 19, Dre began his career as a professional boxer. Signed immediately to a promotion, he had the privilege of fighting talented opponents from across the world. As a professional featherweight boxer, he had an opportunity to travel, fight on ESPN, and live the dream any 20-something with a passion for competitive sports would seek. 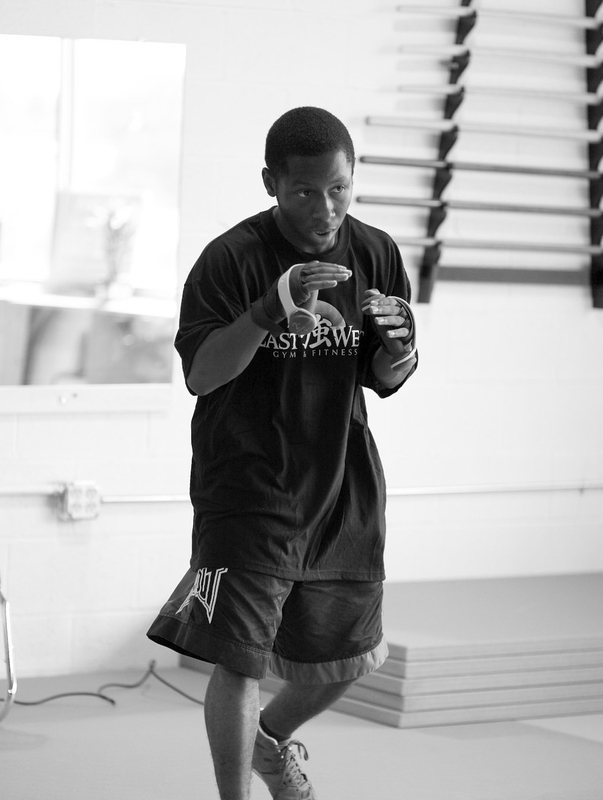 After retiring from his boxing career, ranking 13th in the country, Dre returned his focus on gym-based training. With the launch of several successful family gyms under his belt, Dre became a fitness trainer for the likes of professional NFL players and combat/mixed martial arts fighters. His diverse background in wrestling, boxing, judo, MMA, martial arts, and personal training inspired him to create a training style that is uniquely his own. Bringing together the experience he's acquired over his career, he creates customized fitness programs for each client that integrate balance, coordination, strength, and endurance. Building long-term, collaborative relationships with clients in order to craft and grow a precise fitness plan is his passion. From new moms to professional athletes, his unique ability to design a program that meets each client's goals and allows them to have fun doing it, is what makes Dre one of the most sought-after personal fitness trainers in Dane County.